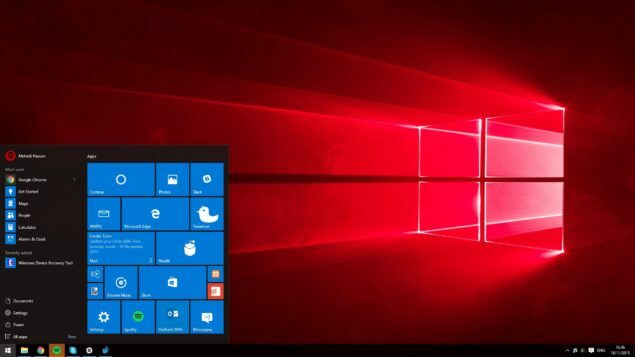 Microsoft has released a new Windows 10 Redstone preview build 14267 to the Insider members on the Fast ring. Here are all the new features and known issues. Windows 10 Redstone preview build 14267 has started rolling out to those on the Fast ring of Windows Insider program. This is the first build of many future releases where Microsoft has started focusing on new features and improvements, deviating from January’s bug-fixing spree. While the changes won’t be any significant for the upcoming few builds, it’s pleasant to finally hear about improvements and enhancements coming to various segments of the latest operating system. Microsoft has focused on developing and stabilizing its OneCore subsystem until now. Today’s Windows 10 Redstone brings in some new improvements and enhancements to the Edge browser (leaked earlier), messaging and Skype among others. Following are all the new features. 1 Remove all the virtual network adapters connected to the vswitch, delete the vswitch and recreate it, then reconnect their virtual NIC to the new vswitch. 2 Admin command prompt, do “netcfg -d” will wipe-out all the vswitch settings so that you can start from scratch. So download away, explore the new features and improvements and let us know how you like the latest Windows 10 Redstone preview build.